The dense atmosphere on Venus presents a definite challenge to colonization, but at the same time it also offers buoyance for floating structures and materials for building and export. 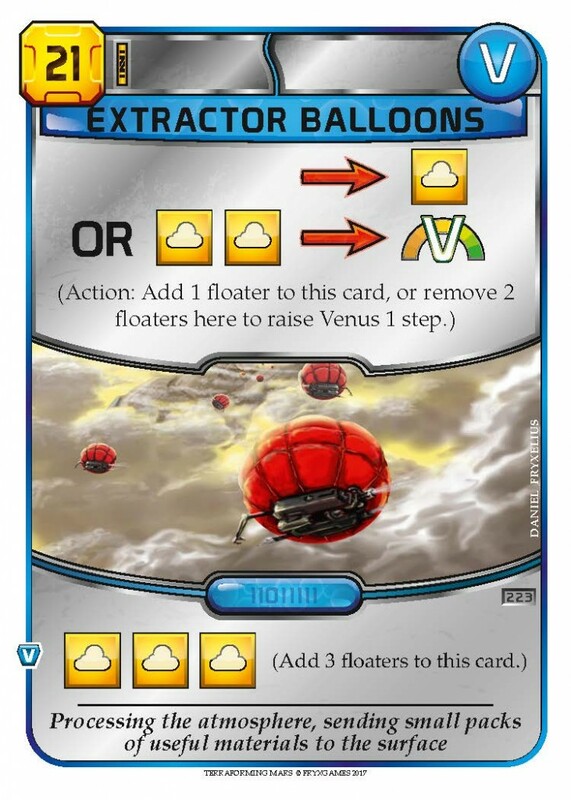 In Venus Next, cards such as the Floating Habs can assist other projects in the clouds. For example, they can help out in extracting deuterium for use in fusion power plants. Because of its higher mass, deuterium stays on Venus while the solar wind slowly strips away the lighter hydrogen atoms in the atmosphere. The higher concentrations of deuterium make it worthwhile to extract in industrial scales. The cloud community can also help the terraforming effort by working on projects to get toxic and acidic components out of the air. Finding new uses for these materials is a main focus for scientists on Venus. Gear up and team up! People who are prepared for the worst survive. Jennie is one such person. Growing up as the ‘tough girl’ in class, she then joined the army and learned how to handle guns. When the world collapsed in the Virus, she and a friend got away in time, teaming up to survive and save whoever is left to save. 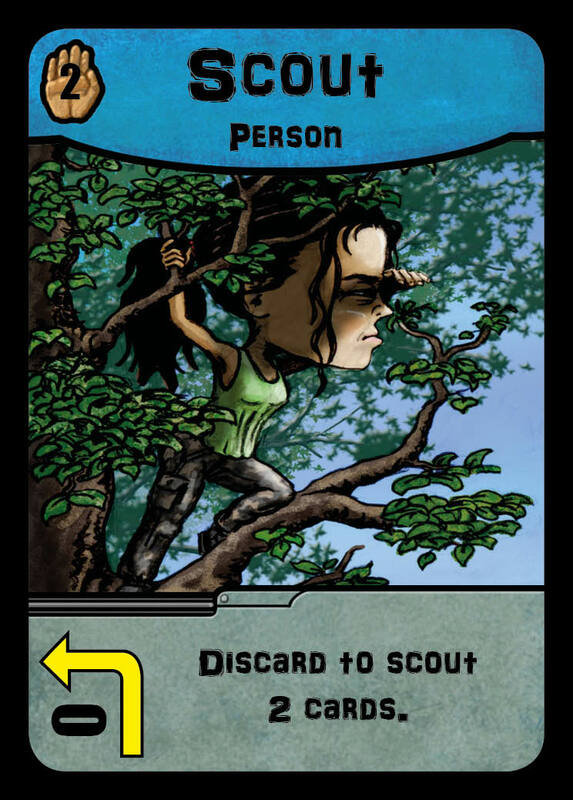 In After the Virus, you play a character with its own personal starting deck. 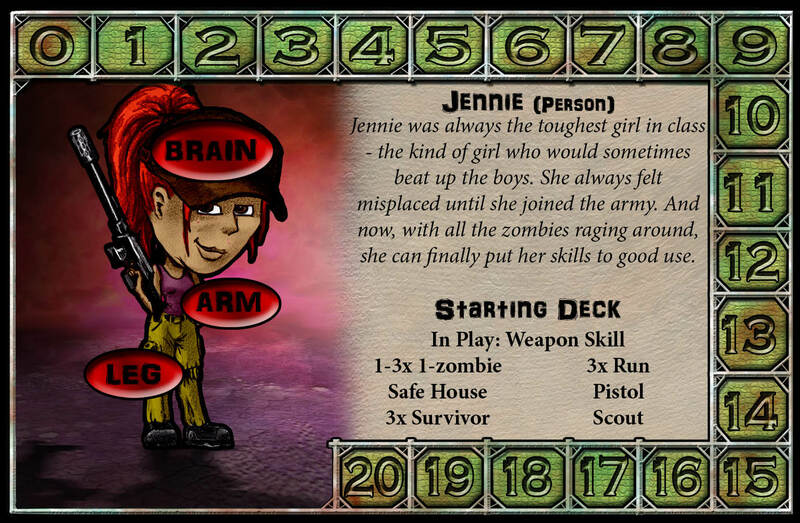 Jennie, as all other characters, starts with a card in play. Her specialty is the Weapon Skill training, allowing her to be extra efficient with weapons. This combos very well with her Pistol, that can be used two turns and then goes back into the deck, only to be used again later in the game. If she can find more weapons, it will be even better. She also has Scout, her friend who is really good at finding useful things in this chaotic world. The Scout will often go off (discarded) to search for supplies that they can use. 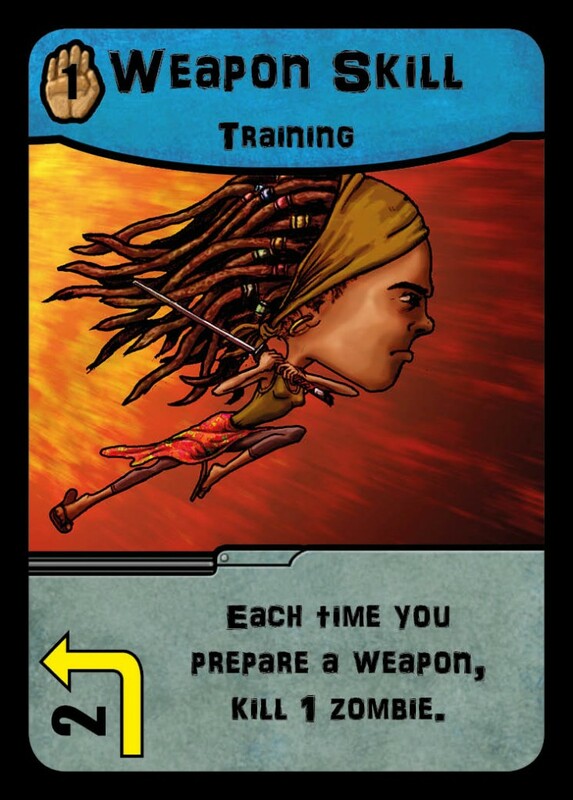 Besides these very useful assets, she also starts with 3 Survivors in her deck, as well as 3 Run and a Safe House so she can save people and get out of messy situations. 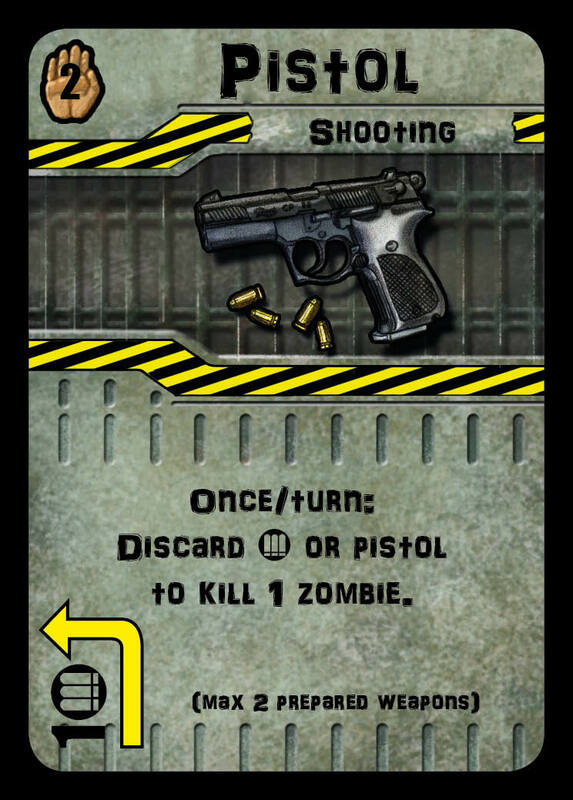 To round the deck off, players will also add a few zombie cards to their starting deck and they are good to go. So what are the numbers around Jennie used for? They are used to track how many people you’ve saved, as well as which zombie wave you’re on. You see, each time you reshuffle you’ll increase the wave number by 1, and add that many zombie cards to your discard pile for the reshuffle. You need to complete your mission before you are overwhelmed by the ever-increasing number of zombies! And the spaces with ‘leg’, ‘arm’, and ‘brain’? You figure it out. Essen – Here we come! These weeks are some of the most hectic weeks of the year for FryxGames; with travel preparations, checking factory production and delivery to Essen, as well as making our own big yearly prototype printing. We are so excited for Essen, and really look forward to meeting you – old friends and new. This year’s big releases for us are Terraforming Mars: Venus Next, and After the Virus, and we hope you’ll enjoy both. P.s. 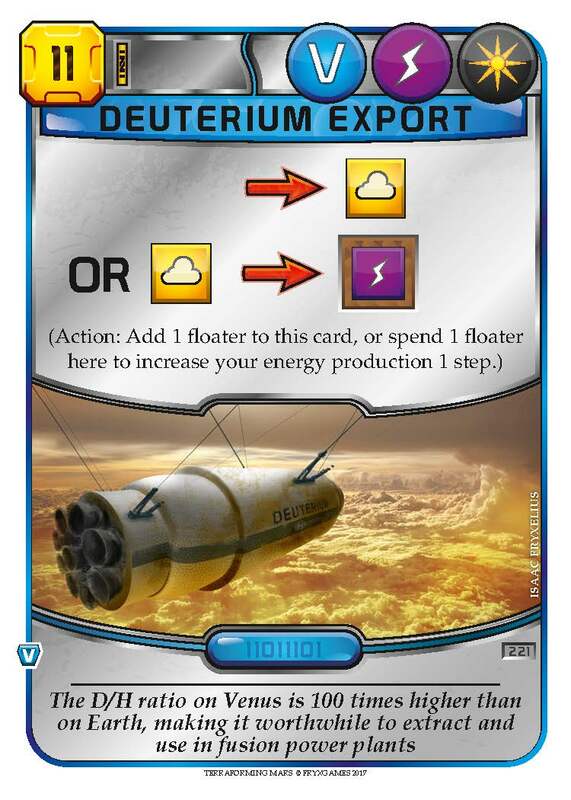 We’ll also have our other products of course: Space Station, Brawling Barons, Fleets, and Terraforming Mars with Hellas & Elysium and the 4 promo cards.